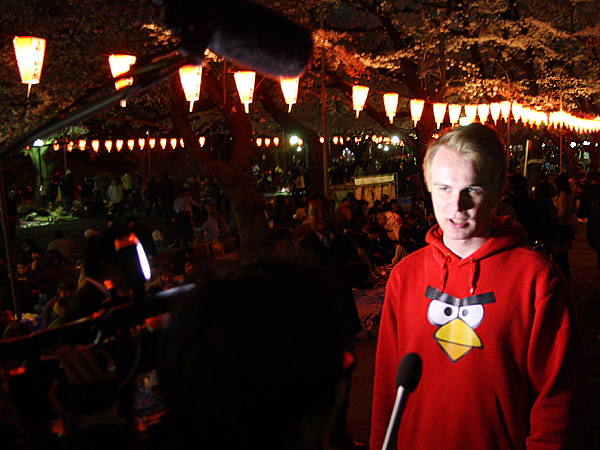 Just wanted to post a quick follow-up with Many Thanks to all for a fantastic evening.. congrats to Antti on his interview with FujiTV, which goes to air nationwide on Monday morning, and we look forward to cya again next year! Hanami season is coming up quick and we’re looking forward to bring all the Tokyo tech community together for Sakura Under the Stars on evening of April 5th. 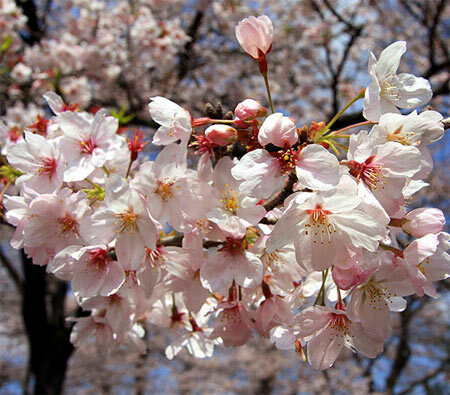 UENO Koen is a huge public space with 1,000 cherry trees getting ready to bloom = Lets Go to the Park! We’re thrilled to welcome some very special guests for a little Angry Bird Cherry Blossom fun gaming action with groovy prizes on-hand for the lucky and talented players.. Suggest people pack their preferred food goodies – or, maybe order some pizza – and naturally a few extra beverages, along with warm wear and happy hearts for this rare opportunity to really enjoy the great outdoors. Now You know – You Gotta Go!